NEWPORT, RHODE ISLAND (September 5, 2018) – Rhode Island’s Official Tall Ship SSV Oliver Hazard Perry is taking a pause while the non-profit organization Oliver Hazard Perry Rhode Island (OHPRI) rethinks its strategy for the ship’s financial sustainability. The 200 foot three-masted sailing school vessel, which was seven years and $12 million in the making when she embarked on her maiden sail in 2015, will not journey south next Spring as it has done the past two years but instead remain in Rhode Island at a soon-to-be-announced location. Collectively, over 1,000 young people’s lives have been changed by Oliver Hazard Perry Rhode Island’s sail training and education-at-sea programs from Canada to Cuba and many points in between. This Spring, SSV Oliver Hazard Perry participated in the Tall Ships America event on the Gulf Coast, and with stops in Pensacola, Galveston and New Orleans, more than 40,000 visitors were able to tour the ship and learn about its education-at-sea mission. With 10,000 nautical miles under her keel, the ship has performed extremely well in diverse weather conditions. It passed its most recent Coast Guard inspection “with flying colors” yet the necessity of hauling it next Spring for another USCG inspection also figured in to OHPRI’s thinking. 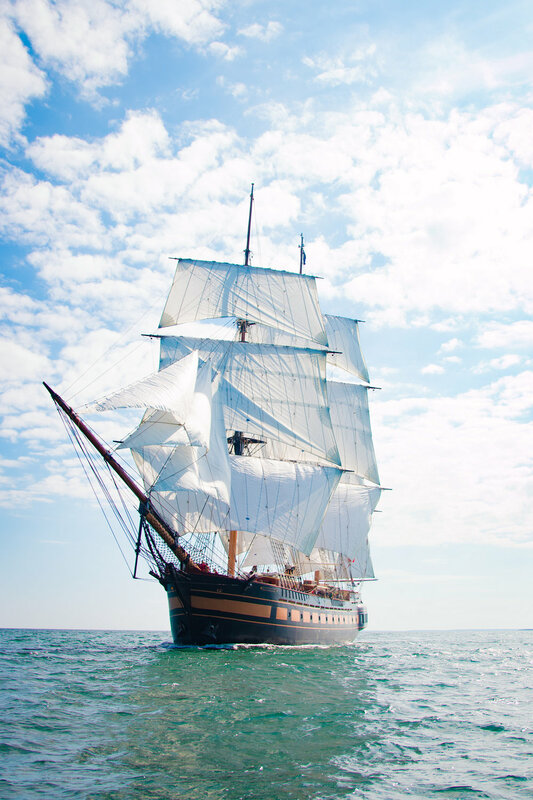 In July, legislators designated SSV Oliver Hazard Perry as the Official Flagship and Tall Ship Ambassador of Rhode Island. The OHPRI office will maintain a presence in Newport with minimal staff and crew to ensure continuity into the next phase. “Tough decisions had to be made during this transitional period; laying off the staff and crew was the toughest,” said Seaman. “These dedicated people contributed so much to our success.